Our solution based model of care recognizes the body and mind's vital, interdependent balance of systems - harmony - for optimal movement and function. We believe in each person's capacity to be vibrant, agile, capable, coordinated, confident, playful, and productive. We compassionately understand the uniqueness of one's healing journey - there are no protocols to true healing. And most often optimal healing occurs with the guidance of a collaborative team of skilled professionals. We are passionate about helping each individual with a personalized approach to discover their unbound potential, restore and use their vital healthy movement, and encourage a life-long wellness approach to living one's full, healthy and prosperous life! We have over 24years of clinical and educational experience in musculoskeletal and spinal conditions; specializing in the health and balanced function of all systems that contribute to optimal movement and promote healing. We strive to investigate and discover what's behind an individual's suffering, and assist them with the greatest skills to uncover and accelerate the best version of one capacity for a healthy and well life. Assist you to thrive & feeling satisfaction with your body's capacities and new found potential and mobility. Read more about our solutions and perspective. Please read Your First Visit. Manual therapy is an art within the science of medicine, and there is a science within this art that follows an understanding that the body has to potential to heal itself. This understanding is steeped in the fundamental knowledge of physiology, anatomy, mechanics of movement (the how, not just the what), and inter-related body systems that facilitate optimal healing and promote life-long wellness. Manual Therapy is a skillful use of the hands, in a non-invasive (no force), manner to address the limitations and enhance physiological and physical movements. knowing who is doing the healing – you. It is the physiology and the inter-related mobility and activities of all systems that determines and modulates physical movement and functional capacity, health and wellness. Often physiological patterns that restrict balanced bodily activities are not addressed with exercises; in fact exercises often facilitate further compensation patterns due to the body's innate intelligence to protect vital structures from further stressors of tensions and pressures. Physiological functions rules physical function. The style of Manual Therapy utilized at Moving Into Harmony is primarily derived from the initial discoveries and philosophy of Dr. Andrew Taylor Still, and following the traditional Osteopathic approach through individuals that carried his original perspective on human potential, function, health and wellness. “Gizmo Free” refers to a clinic without therapeutic technologies such as exercise equipment/machines, electrical stimulation devices, hot and cold modalities, ultrasound, mechanical motion devices, biofeedback, dry needling, laser, whirlpools, or mechanical traction as a therapeutic service focus. Instead, Moving Into Harmony focuses on the skillful Manual Therapy services and each individual’s movement activities that assist in promoting a return to balance and healing than what a machine or device can provide. Have you treated my condition before? Moving Into Harmony recognizes an individual's challenges and labeling by a diagnosis, syndrome, or specific pain. We do not promote curing a disease or syndrome. Through best practice services in Manual Therapy and Movement Education, we assist you with the patterns of compensations that may contribute to the challenges you are experiencing. Developing avenues of care and self-care with an integrative approach in your healing process helps return you to a dynamically healthy and balanced state. Why do you recommend an introductory series of treatment sessions? Moving Into Harmony recognizes that to effectively address stress patterns and limitations in mobility, follow-up sessions from the Initial Consultation are important and necessary. Healing is a process. 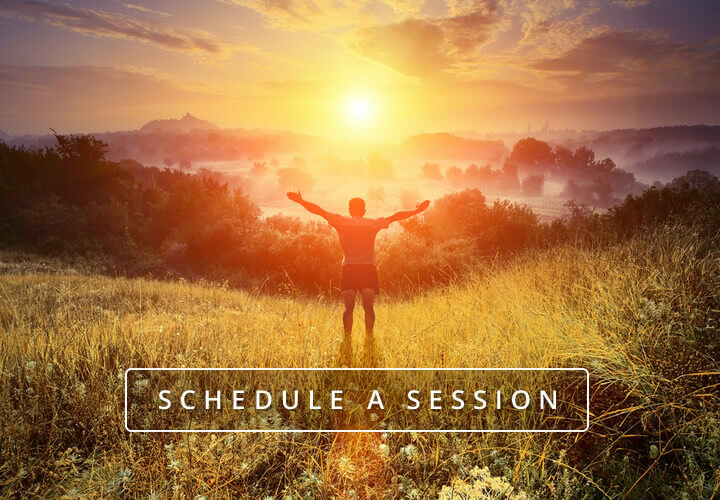 3 to 4 sessions, 3-7 days apart, is incredibly valuable to your potential for regaining a balanced state and enhancing your potential for healing. The series of visits allows you to experience and integrate your newly uncovered potential and the best opportunities to release habitual limiting patterns by observing and practicing new patterns that promote dynamic balance and healing. The recognition of your limiting compensation patterns are based in objective principles of anatomy, physiology, and biomechanics and therefore are measurable, perceivable, and effectively identified. This progressive approach focuses the attention and support on reducing the restrictive areas, working with your movements conducive to harmony and health, and developing individualized self-care programs to promote greater healing potential. This approach is also very helpful to communicate with other health care practitioners on your team to promote the multi-disciplinary process of delivering effective health care. Please contact us about our Packages and Programs. Moving Into Harmony Physical Therapy services are provided through your out-of-network rehabilitation benefits. With the ever changing environment of health insurance we recommend you review your plan's benefit descriptions AND call your health insurance agent, or a representative to understand the financial situation of your health insurance policy. It is important to ask about your out-of-network Physical Therapy benefits and understand your out-of-pocket expense. We do not want finances to be an obstacle to your healing and wellness desires. We offer many options and programs to help you. Please visit our page About Medical Health Insurance Benefits for more details. I have seen a PT and have a home exercise program. Can you review it? Yes. Moving Into Harmony believes movement is essential to health. With an initial consultation, we can review your current program and offer insight, modifications, and suggestions for additional activities that would enhance your potential healing through a movement and self-care program. Is Manual Therapy like CranioSacral? CranioSacral therapy is a skill set under the umbrella of Manual Therapy. There are other hands-on skills that address the health of the Nervous System that Moving Into Harmony incorporates. We recognize the interdependent relationships of multiple bodily systems such as Visceral (the organs), Circulation, and the Fluid Dynamics of the Fascia, and Functional Biomechanics of Musculoskeletal Movement. How each system relates and how your compensatory patterns affect this interdependent relationship is a valuable assist to the best practice services provided at Moving Into Harmony. Can I see other health care professionals while being treated by you? Yes. Moving Into Harmony appreciates how a multi-disciplinary team is an optimal approach to your health care. Please inform us of your team during your first visit so we may understand your individual needs and how to coordinate our care with your team for the best possible outcomes. Any member or your health care team is welcome to communicate with us regarding your care and needs. All that is required is a written consent form to share information. What may I do, or not do, after a session? With your First Visit, we provide a set of principles to educate you on a self-care program, along with establishing a foundational movement program. This is individually based on the patterns of compensation you are working to overcome, and promoting movements that improve your potential for healing. These programs are progressive as you develop and cultivate new patterns of potential, "strength and flexibility," and we emphasize the importance of daily participation, or practice, for the best development and results. It depends... Being a licensed Physical Therapist in the state of Oregon, you have direct access to care. This means a doctor's referral is not required to receive services at Moving Into Harmony. If you are choosing to receive care under your medical health insurance policy, there may be a different requirement. Because of the changing environments of health insurance, we recommend you review your plans benefit descriptions and call your health insurance agent that assisted you with your policy, or a representative through the insurance company you have contracted with, to answer your specific question about your benefits. If you are involved in a Motor Vehicle Accident, most insurance companies require a physician be directly participating in your care. Therefore, a recent (1-3 weeks) prescription from a medical doctor (MD), an osteopathic physician (DO), a naturopath (ND), or a dentist (DMD) is required. Referrals from a chiropractor (DC), per Oregon law, can not be accepted. The prescription must indicate the date of accident, the proper diagnostic coding for areas requiring treatment, frequency and duration of care. I have been doing Hatha Yoga for years. Can you help with my practice? Yes. Moving Into Harmony specializes in Movement Education with a focus in Hatha Yoga. We are happy to assist you with your practice. Our focus is a multi-system approach, steeped in the knowledge gained through the experience of a long-term practice. With a combination of over 40 years in the fields of Manual Therapy and Hatha Yoga, we offer the best practice services to assist you in the vitality and self-healing activities Hatha Yoga can offer. I am interested is seeing you, but do not practice Yoga. Can you help me? Yes. Moving Into Harmony offers a broad perspective in movement and the potential it holds for health and well-being. Though experience in the practice has provided a great deal of knowledge in movement, programs of self care are not limited to Hatha Yoga. We are willing to explore your current movement practice, or any areas you are interested in to promote your vitality, balance and well-being. Do you have experience with children? Infants? Yes. Moving Into Harmony offers care for all ages. We do not specialize in one age group, and are willing to assess and offer our best practice services for the individual needs of all of our clients. I have chronic issues and have seen many practitioners. Can you help? Yes. Whether you have had knee pain, neck pain, difficulty walking because of foot pain, difficulty sitting without low back pain, balance issues, etc., Moving Into Harmony offers best practice services that identify limitations in mobility and movement. These patterns of stress and compensation are associated with a interdependent system of the body and mind's abilities to maintain balance and health. We look beyond symptoms in treating and promoting optimal mobility. It is our intention to address patterns and relational interdependent movements often associated with physiology and physical movement. Once pain is not experienced, it is important to participate in activities that can further promote your capacity to heal rather than stay with a care plan or self-care program that is only addressing your pain. I have done Physical Therapy. What do you provide that is different? Moving Into Harmony provides comprehensive services that are based in principles of integrative health. The perspective that allows the practitioner to address an individuals' patterns in relation to the challenges. Your potential is not how strong or flexible you are, or how much your attention is placed on what is "wrong." Your potential is based in your adaptability, how you optimally function with the coordinated balance of all systems in daily activities. The more adaptable and balanced you are, the greater capacity for health. Physical Therapy is a broad field of medical based services. At Moving Into Harmony, our best practice services in the fields of Manual Therapy and Movement Education are a great combination to assist you and promote healing beyond the symptoms or dysfunctions you may currently suffer from or have repeated experiences with. Our approach is unique and we believe that once you are not experiencing pain or perceived limitations, that this is the best opportunity to continue a progressive avenue of healing. Lack of symptoms does not equate to health; greater adaptability creates greater capacity for promotion of health. Do you take payments from my HSA (Health Spending Account)? Yes. Moving Into Harmony can work with you if you are using a benefit of a Health Spending/Medical Spending Account. Please contact us with your specific plan requirements and questions/inquiries to utilize your resources. Yes. Moving Into Harmony accepts MasterCard, Visa, and American Express. We currently accept these forms of payment without a service charge to you. I was in a motor vehicle accident (MVA). Can I see you for treatment? insurance company and claim representative names. We recommend you review your policy benefit descriptions and call your health insurance agent that assisted you with your policy, or a representative through the insurance company you have representing your claim to answer specific question about your benefits, and monies available for continued care (i.e. in Oregon, the minimum benefit is $15,000 per incident, with more monies allowed based on the policy you contracted with). All services related to injuries and lack of function from an MVA are financially your responsibility and the company you have contracted with; meaning if the monies allowed are exhausted you are responsible for reimbursing Moving Into Harmony for the services provided. Also, a recent (1-3 weeks) prescription from a medical doctor (MD), an osteopathic physician (DO), a naturopath (ND), or a dentist (DMD) is required. Referrals from a chiropractor (DC), per Oregon law, can not be accepted. The prescription must indicate the date of accident, the proper diagnostic coding for areas requiring treatment, frequency and duration of care. If you are involved in a litigation or suit for continued care or support of the care you already received, it is important to inform us of your current situation including any legal representative and medical personal supporting you. A release of medical information is required to communicate with any individual supporting your care.